Question: How do birds find seeds? Most seed-eating birds are able to find seeds primarily through vision, but they also rely on memory, social learning and even calling out to one another. 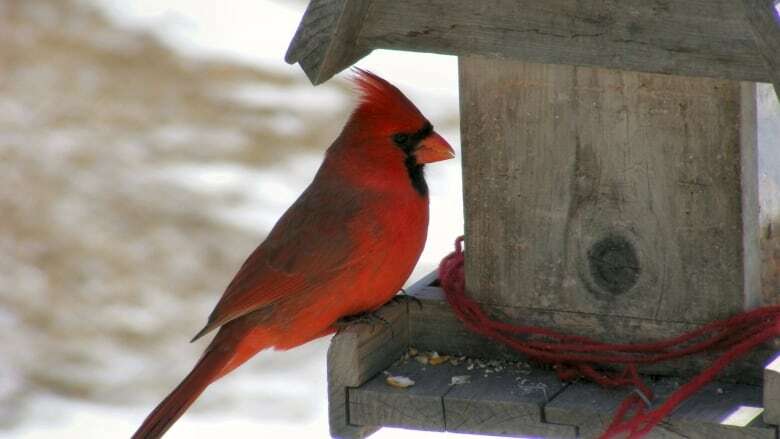 I enjoy feeding the birds, can you tell me how they find the seeds wherever I put them? Karen Wiebe is a professor of behavioural ecology and bird conservation at the University of Saskatchewan in Saskatoon. She explains that birds primarily use their sense of vision to find seeds on feeders for example. In fact, they likely have to land right on a feeder before they can tell if seeds are there or not. With the exception of some seabirds and vultures, most birds do not have a strong sense of smell. Birds also use learning and memory to find seeds. One bird may find a source of seeds, then others of the same species will follow. Birds can also remember where they found seeds previously — even years earlier — and can even remember what a particular feeder looks like. At least one species of bird, the house sparrow, will make a special call to attract others to the food source. Aside from sharing the wealth, this behaviour also help reduce the risk of predation. In the wild, birds do not have to randomly search for seeds. For example, crossbills search in the tree canopy looking for specific seeds in the cones of conifers.